Back to work :( I hope you all had a great weekend. 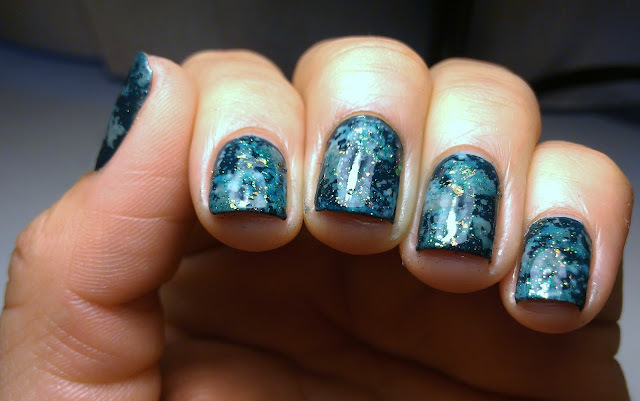 My bff Maria at Nails Made Simple was kind to get me a bottle of Cult Nails Toxic Seaweed. Originally I was just going to layer it over green or wear it alone, but where is the fun in that :-P so I went in a different direction ... What do you guys think?? 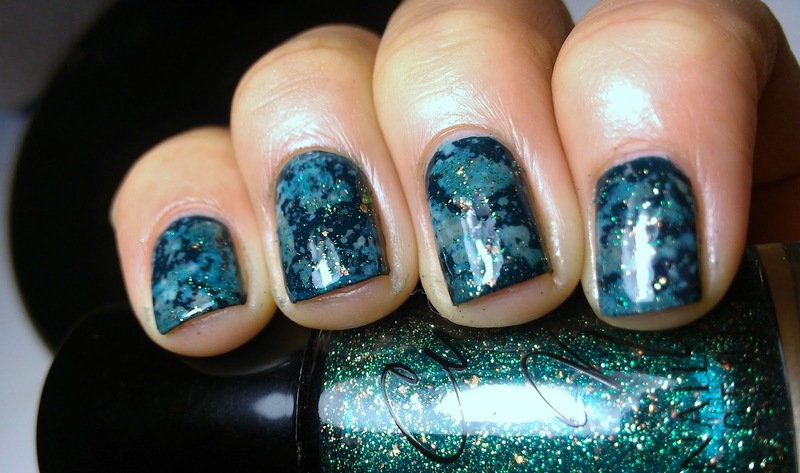 You can still purchase Toxic Seaweed at Cult Nails, the last time I checked it was still in stock! Oh Wow... this looks so amazing! I really love this! Mesmerizing and stunning <3. 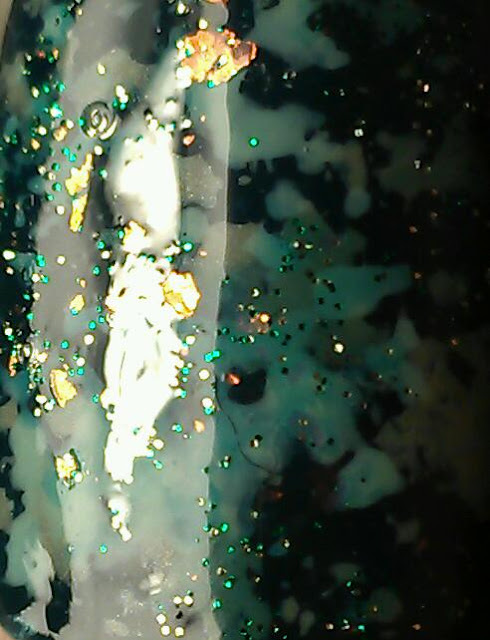 A kind of galaxy, I would say :) - very nice! Love how you have made a special polish even more incredible! Wow. This is gorgeous even without Toxic Seaweed! That looks fantastic!!! 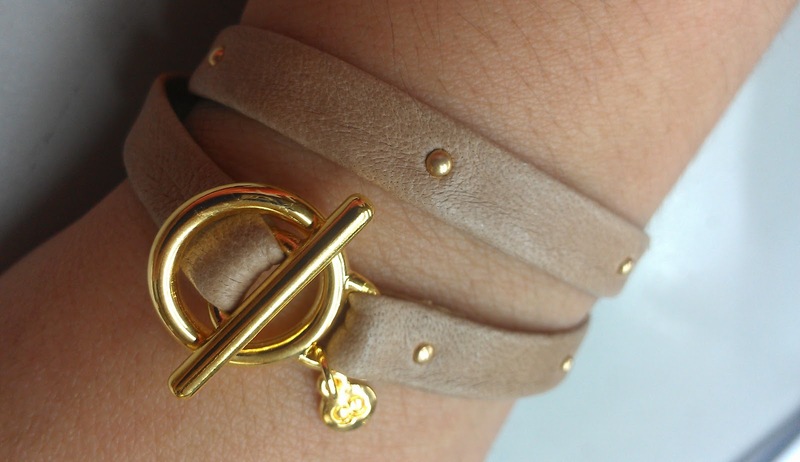 Love the bracelet too! It looks a bit army like! :) I really like it! And your bracelet looks so good! That bracelet is awesome Iris! I love it!!! 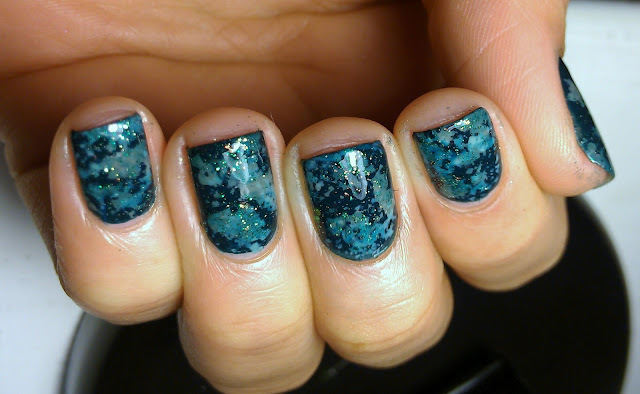 And the sponged mani is super pretty, too! 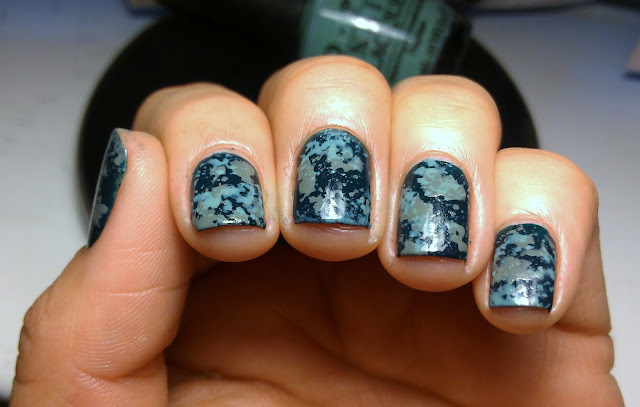 I love this mani, it looks amazing! i love this!!! wow. i just got a bunch of glitters from maria. she's the sweetest! It looks like rainy and stormy dark day on nails!! <3 I love it! This is so pretty! Toxic Seaweed is so sparkly. The sponging looks amazing, I'm kind of in envy! Ahhhhh! So beautiful. I love it! I still like this even better than my preview! It really is a cool mani dude! You rock! I like this alot!! It's gorgeous!! This is so unique!!! I love this look. gorgeous! <3 & the bracelet! Beautiful!!! My daughter just got a watch that wraps like your bracelet! Very pretty! Oh my lord. I wish I could recreate this! I have to admit I've never been that great at doing my nails. These are some great ideas. 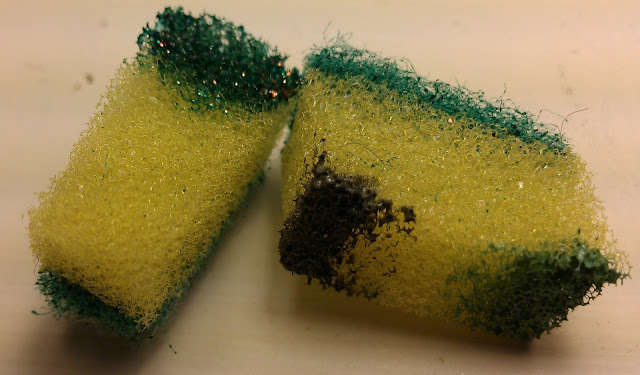 I never thought to use a sponge to create designs. such a lovely design :) looks amazing! Wow, that manicure is awesome... come do my nails, lol! omg i must have this!! dang you and all these amazing polishes!